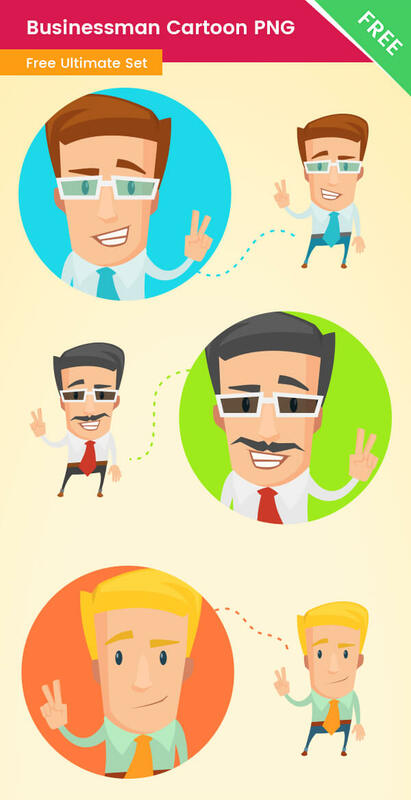 A Business Cartoon PNG with 3 similar businessman characters. These businessman characters come for free, and they are available as both transparent png and vector Ai file. There is a blonde, brown hair and black hair characters, 2 of them are with glasses, and one has a mustache. They are perfect for business designs – they are all wearing a shirt with a tie. They are friendly and charming. If you want to impress your audience, you don’t have to hesitate, just grab them now – they are available for free.